In conversation with Restaurant India, Dinika Bhatia, Director, DRB Foods talks about their growing business in India in the gourmet and health food segment. How was the idea to start ‘Nutty Gritties’ conceptualise? Our family started the business of dry fruits in 1887 and my family was the trader of Californian almonds in a big way. I have always seen people in the business and I made my business plan while I was studying in California. I read about the concept, thoroughly planning to make it a healthy product. I got great experience abroad working with couple of companies. 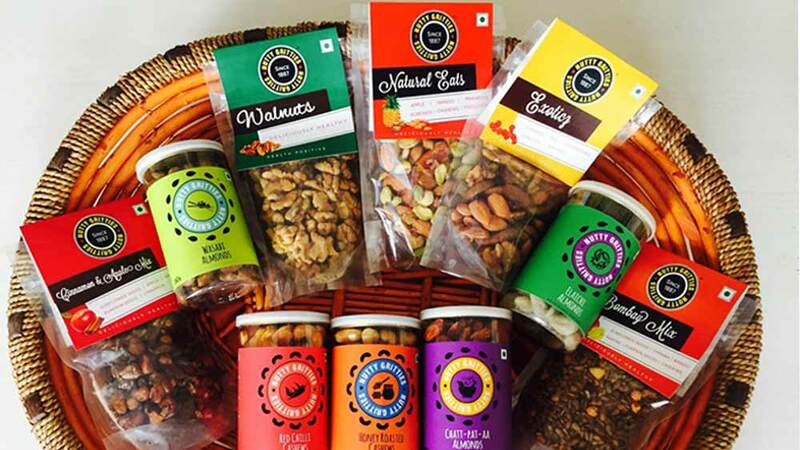 I came in 2009 and launched Nutty Gritties and initially we started with couple of basic products like almonds, cashew, pistachio and then we did little bit innovation with packaging, making it more convenient for customers in 20 gm, 25 gm packaging. Over the years we have really innovated our products, packaging and we try to offer customers a new experience. We really want to keep customers in our product and we really care want their engagement. How often do you innovate your products? We are constantly working on new innovations and new products. We also supply lot of products to the catering segment. And, if a customer comes to us and asks for a customise product, we also do that. But for the retail market, once a year we come up with a new product. How about your supply chain network? We are not supplying to hotels and restaurants right now, but we are working on a ratio to partner with them. They can either pair to put it as a product in their premium bar or to serve with coffee. With our products we really want to satisfy them that they are getting something really delicious and it is healthy too and we are working on such products to cater to this segment. In terms of HORECA we are supplying to railway channels and couple of airline channels and in the past we have supplied to cinemas and right now also we are supplying to some cinemas- M-cinemas, Taj catering for some international airlines. How about your retail presence? For retail segment right now we have over 100-150 premium stores in Delhi- modern trade has been a major channel for us. We supply to Big Bazaar, Aditya Birla Retail, Nature’s Basket, Le Marche, and Modern Bazaar amongst others. How friendly you’re to e-Commerce segment? Online segment has made the world a small place. On online segment we have our own e-Commerce website plus we are supplying to other e-Commerce website as Snapdeal, Amazon, Flipkart and we have been getting orders from interiors of Andhra Pradesh, UP, North East and even tie II and III cities. What is the ratio of orders from all channels? Most of the orders come from modern trade, followed by institutional segment and e-retail and online. What new can we see at Nutty Gritties? We are coming with a healthy snack which is delicious and also healthy. It is on line of something on-the-go. How do you get the supplies of all the products? We export most of the products ourselves and since our family business is one of the largest importers of dry fruits in India, we do not want any kind of contamination in product quality.